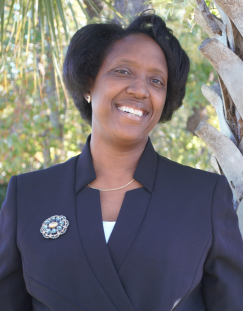 Promise Land Realty was founded by Dennetta Dawson who is a graduate of Charleston Southern University and the Citadel located in the beautiful Palmetto State of South Carolina. She is a world traveler and loves a variety of architectural styles and design. With this love and admiration for beauty over sixteen years ago Dennetta decided to help others find the home of their dreams. No matter the size or your budget Promise Land Realty has the skills and no how to find that perfect home to suit your needs. We would like to Welcome Yolanda D. Manning into the Promise Land Realty family!!! Yolanda is a native of the Charleston Community and eager to assist you with buying your dream home or selling your existing home. At Promise Land Realty we go the extra mile. We work hard to make sure our clients are satisfied with the investment they are making. We accomplish this by showing a wide range of homes that meet the client’s needs. We keep current with the latest trends and styles while doing our best to make the home buying process as painless as possible. The vision of Promise Land Realty is “A Land of Plenty” for each individual. Promise Land is a land where “We are well able to take possession of it.” Thus at Promise Land Realty we strive to provide quality service to the public as we assist them in finding the home of their dreams.